Serve your most celebrated soups with this elegant, CAC RSV-3 super white, Roosevelt 10 oz. porcelain soup bowl. 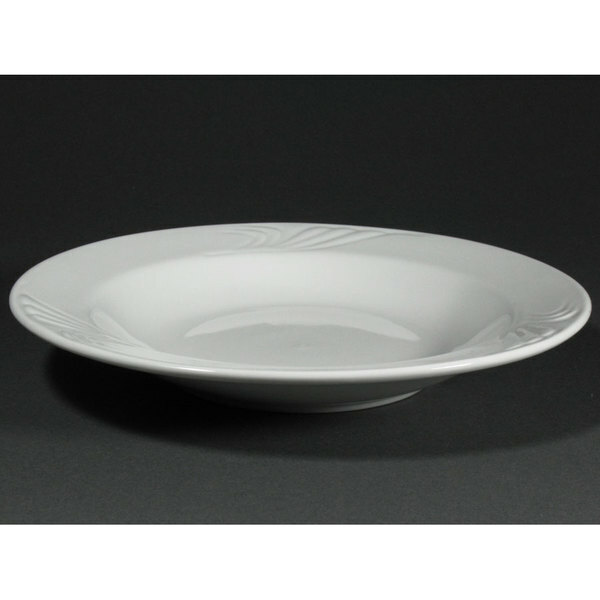 Its wide rim is ideal for balancing crackers or bread to complement soups, pasta dishes, side dishes, or desserts. This Roosevelt 10 oz. soup bowl features a beautiful sculpted rim, with intricate waves. It's perfect for fine dining at your hotel, restaurant, or catered event.